When I was growing up, I would worry, panic, and stress at life. I worked hard and managed my fears and then my Granddad died. I decided to raise money for the hospice by giving up sweets for a year. It was very difficult, but the feeling I had when handing over the money was amazing, and I decided to do it again a year later. I didn’t know what charity to choose, and I still didn’t know when I started my challenge who would benefit until my Mum and I were looking at The Landings Hotel website. We discovered Pack for a Purpose. 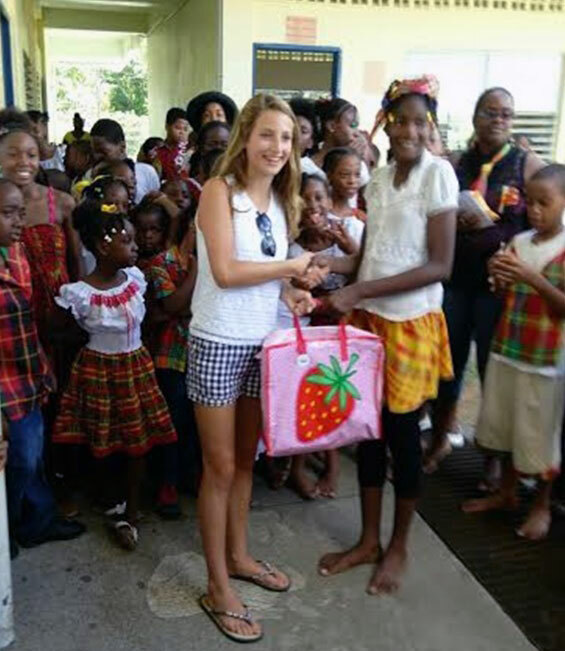 We knew that we could benefit the children of St. Lucia as simply as packing a couple of extra suitcases. We went to the Tiger store in Ipswich, England, and filled three suitcases. We raised approx. £600, and Tiger gave us some free goodies to take with us. Pack for a Purpose is in many different countries. All you need to do is drop off supplies at a hotel that participates in Pack for a Purpose and they will ensure the items are delivered and distributed to the care centers and schools. 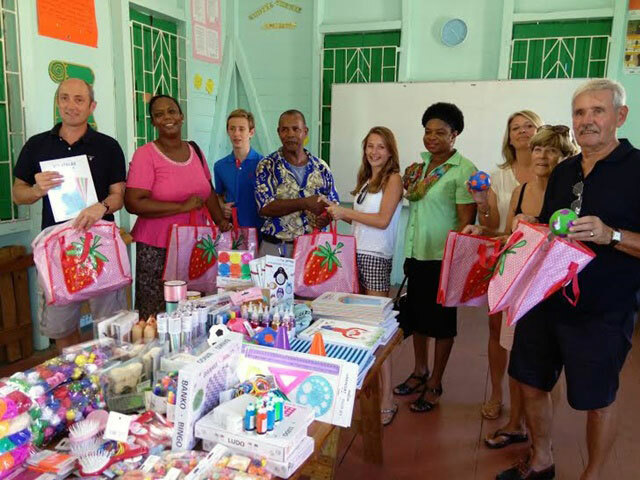 We decided we would like to see the school and deliver the items ourselves, which was an amazing experience. Rebecca Rothney, founder and chairperson of Pack for a Purpose, e-troduced us to their contacts at The Landings, and through email, they arranged for us to be able to visit the school. We were able to take an additional $150 from hotel guests who had heard what we were doing. Paul and Jemina from The Landings accompanied us to Gros inlet to deliver the supplies. We were given such an amazing welcome from the children and were able to see other ways that we could help. The children danced and sang for us, and at times we wondered who was benefiting from this experience more. It was heartwarming and very emotional to see children with nothing giving so much to us. The schools are not government-funded, and therefore some children simply cannot afford to go to school. Parents must find money for school uniforms and bus fares. If they do not, they are not able to attend. Supplies such as pencils, pens, books, etc., make a huge difference to the children and our gifts are also being wrapped for Christmas presents to those that are living in poverty. Raising money was easy. Giving up sugar and junk food was hard. But delivering these gifts made it all worthwhile. We felt very privileged to have been able to go on holiday to this beautiful country, and we are so glad we were able to raise this money, as the day we visited the school was the day that I will always remember. Thank you, Pack for a Purpose.